How to change parts and restore your ROK or Presso Espresso Maker. The ROK espresso maker is designed to make any parts replacements easy. Whether you’re just replacing the plastic plunger, o-ring or cylinder, or doing a full refurbishment, there’s no need to be daunted by the process. We enlisted our good mate, Scott, to put together this video, which shows just how straight forward it can be to refurbish your ROK (or Presso) with our refurbishment and nuts & bolts kits. Scott calls the video “ROK”storation. Check out this great video from our friends at Langsom. This is a great end-to-end video of the ROK espresso brewing process. The only things I would add are: 1. Run hot water through the ROK after you’ve finished to flush out any residual grounds and oils. 2. Remove the white filter screen and dry thoroughly before putting the ROK away. 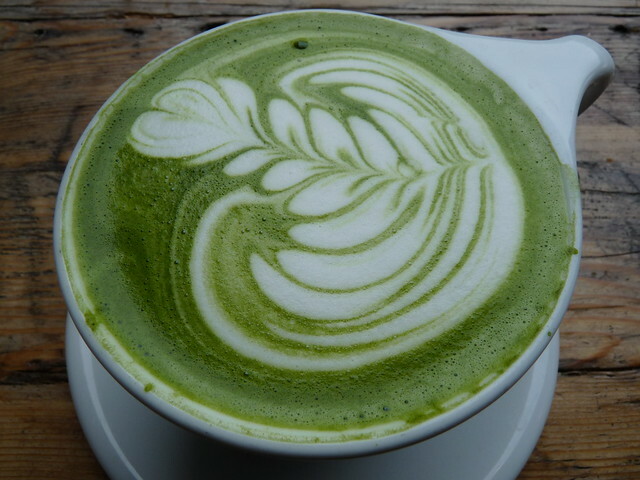 I saw this photo today and am pretty keen to try my hand at Matcha Tea Lattes with the Bellman Milk Steamer. I’m taking a week or two off coffee and this could be just the thing. This video was kindly shared with us by Kay and John Atkins. John walks us through his process of roasting coffee with the Handy Roaster, grinding it with the ROK grinder and finally making espresso with his Presso.